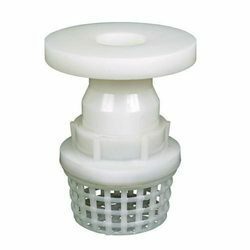 Our range of Plastic Valves like PP ball valves, HDPE ball valves, PP foot valves, PP non return valves etc., is used in various industrial applications. These valves are can be customized as per the specifications of our clients and are in compliance with various industrial standards. 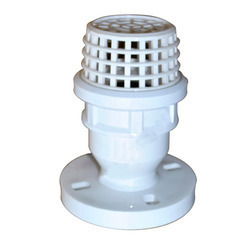 We are offering Plastic Foot Valves to our clients. These flanges are available in several types of plastic. We have a wide variety of ranges in size. We are engaged in offering a wide assortment of PP Foot Valve Thread End. Moreover, these are widely used in various industries such as pharmaceuticals, chemicals, fertilizer, petrochemicals, sugar and oil refineries.